The relationship between Iran and the Persian Gulf Cooperation Council countries — a political and economic union consisting of Saudi Arabia, Kuwait, Oman, Qatar, Bahrain and the United Arab Emirates — is on a dangerous trajectory and risks leading to direct confrontation. During a recent seminar in Europe, a European diplomat who has made the case to officials in Riyadh for Saudi-Iran rapprochement starkly told me that the regional situation was even comparable to pre-World War I Europe. 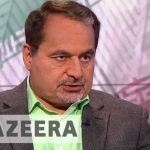 The relationship between Iran and Saudi Arabia, he said, has deteriorated to such an extent that both sides and their allies have found themselves at the precipice of a major war. 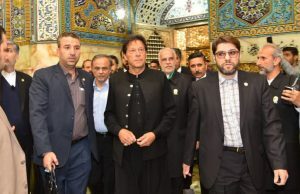 For years, Iran’s primary national security threats have been the United States, Israel and terrorism committed by groups such as the self-proclaimed Islamic State, the Taliban and others in their ideological vein. However, since cutting ties with Iran in January, Saudi Arabia has adopted a more overtly hostile policy towards Iran. It has also managed to convince several other GCC states and a number of countries in the Arab and Muslim world to bandwagon with it against Iran. Making unprecedented secret overtures to Israel in an effort to coordinate their policies against Iran. 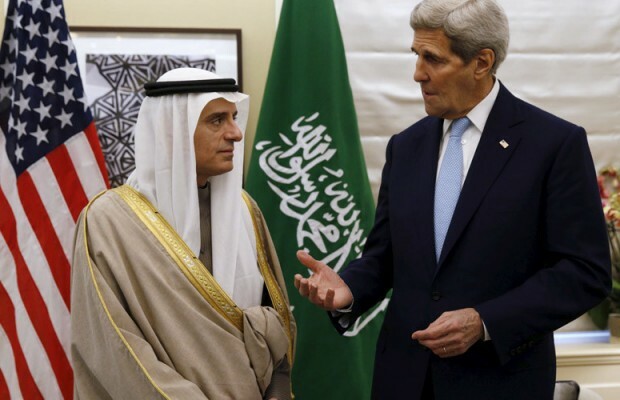 Expending considerable effort and resources to persuade the GCC and Arab League to adopt anti-Iranian stances. In the past, such endeavors were only taken to mobilize Arab countries against Israel. Attempting to create a Sunni crescent against majority-Shia Iran, signified by Riyadh’s efforts to bolster cooperation with Ankara and Cairo. Fostering a coalition between Arab autocracies and Israel against Hezbollah in Lebanon. 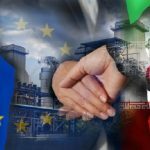 Doing everything it can to prevent a reduction of hostilities between Iran and the United States and an improvement in Iran’s relations with the West. Lending support to groups carrying out terrorist acts in Iran such as the Mojahedin-e Khalq, which until 2012 was on the U.S. State Department’s list of terrorist organizations. Attempting to stoke chaos in Iran’s Sunni regions through propaganda and other means. 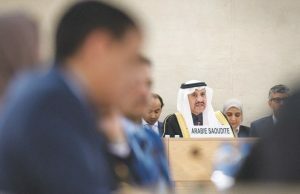 The principal implication of these seven tactics undertaken against Iran is that Saudi Arabia has positioned itself as a significant national security threat to Iran. This has not always been the case, as both countries pursued détente in the 1990s after the Iran-Iraq War and Saddam Hussein’s invasion of Kuwait, culminating in the signing of a security pact in 2001. There is still much that remains unclear about Iran’s relations with its neighbors across the Persian Gulf. Will the other GCC states come in lockstep with Saudi Arabia and follow its lead on Iran or not? What will be the final outcome of the tension-laden path Saudi Arabia and Iran are on now? How can these two states remove themselves from this road to conflict? What is clear is that the GCC states share a view that Iranian influence in the region threatens them and is illustrative of Iran’s desire for regional hegemony. I recently attended a workshop in Doha where all the participants from the GCC states expressed concern about Iran’s regional clout, which stretches from Iran to Syria, Lebanon and Yemen. However, four GCC states (Oman, the UAE, Kuwait and Qatar) have expressed their concern at Saudi Arabia’s approach towards Iran by not yielding to Saudi demands that they sever relations with Iran. The reality is that Saudi Arabia has its own reasons for aggrandizing the alleged threat it faces from Iran. Riyadh is enraged at the United States for changing its broader strategy towards the region, for which Iran cannot be blamed. This change in the U.S. approach was spurred in large part because of America’s decreased dependence on Persian Gulf hydrocarbons and its failed interventions in Iraq and Afghanistan. 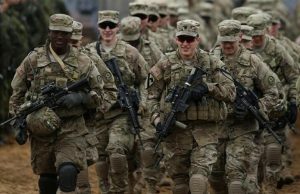 As a result, the United States wants its partners in the region to play more of a role in securing themselves and the region. 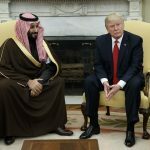 The GCC countries, in particular Saudi Arabia, have not been happy about the developments in Afghanistan after the downfall of the Taliban regime, but they seemingly forget that the U.S.-led invasion of Afghanistan was precipitated by the 9/11 attacks, of which 15 of the 19 perpetrators were Saudis, and none were Iranian. Likewise, the GCC states are angry about the consequences of the American invasion of Iraq in 2003 and the overthrow of Saddam Hussein’s regime, but they avoid the fact that they supported Saddam Hussein’s invasion of Iran in 1980 while Iran condemned the 1990 Iraqi invasion of GCC member state Kuwait. Furthermore, the GCC countries should be cognizant that after the United States overthrew the Baathist Iraqi government in 2003, there was nothing it could do to prevent the majority-Shia population from playing a dominant role in Iraqi politics. Saudi Arabia was also infuriated at the Arab Spring and the popular overthrow of Egypt’s Hosni Mubarak and Tunisia’s Zine El Abidine Ben Ali; events Iran had nothing to do with. Iran in fact condemned the attack on Libya by NATO and some GCC states, which turned an Arab country into a failed state. The GCC is also frustrated at the strength of the Lebanese Hezbollah movement, exemplified by it declaring Hezbollah a “terrorist” organization in March. Hezbollah first emerged as a group resisting Israel’s invasion and occupation of Lebanon in the early 1980s. Most Arab states during that time were muted in response to Israel’s aggression, while the nascent Islamic Republic provided assistance to the besieged Lebanese and helped form Hezbollah — which expelled Israel from most Lebanese territory and has played a key role maintaining the territorial integrity of Lebanon. The Arab world today is suffering from a variety of real ailments, with deep-rooted economic and social problems taking an increasingly unsustainable toll on Arab societies and governments. Issues such as chronic unemployment, massive corruption and inept dictatorial governance are the real threats facing the Arab people. Iran has been turned into a convenient scapegoat to distract Arab nations from the domestic factors that have been plaguing their lives. Saudi Arabia is a case in point, with much reporting done on the dire political and socioeconomic situation in the country. Ultimately, the GCC and Iran playing the blame game is not a solution. For its part, Iran needs to acknowledge and take steps to alleviate the legitimate security concerns of the GCC states. 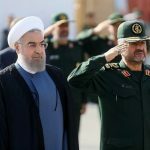 Iran also needs to remember that the alternative to House of Saud in Saudi Arabia will be the “House Wahhab.” On the other hand, if the GCC continues to follow Riyadh in its aggressive approach towards Iran, highlighted by the aforementioned seven points, it will set itself up for perpetual conflict with Iran. The GCC should not burn all bridges with Iran and instead the smaller states in the GCC should do everything they can to push for compromise with Iran. Furthermore, the GCC should know that an alliance with Israel against Iran could put the credibility and legitimacy of their own individual governments in jeopardy. The people of Iran and the GCC states are condemned by geography to be neighbors forever. They would both benefit from living side by side in peace and harmony as opposed to viewing one another in a zero-sum manner. 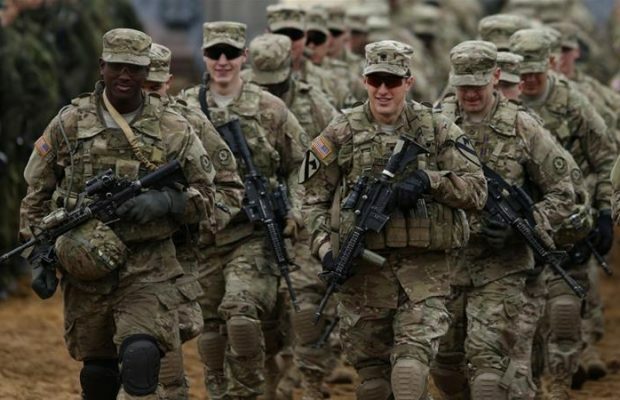 It also goes without saying that whether in the short or long run, the United States will withdraw from the region. At that point, the countries of the Persian Gulf will have to bear the responsibility of providing security themselves. Eventual conclusion of a non-aggression pact and a number of joint task forces on security, economic, cultural, scientific, environmental and humanitarian cooperation to envisage practical measures to gradually expand cooperation in the following fields. This framework will allow Iran, Iraq and the GCC states to regularly engage in sincere dialogue to address their concerns and work with each other. I am confident that Iran will earnestly support the creation of such a regional cooperation system in the Persian Gulf. Ambassador Seyed Hossein Mousavian is a scholar at Princeton University and a former head of the Foreign Relations Committee of Iran’s National Security Council. His latest book, “Iran and the United States: An Insider’s View on the Failed Past and the Road to Peace” was released in May 2014.